Split Film Review 2016. Distribution by Universal Pictures. 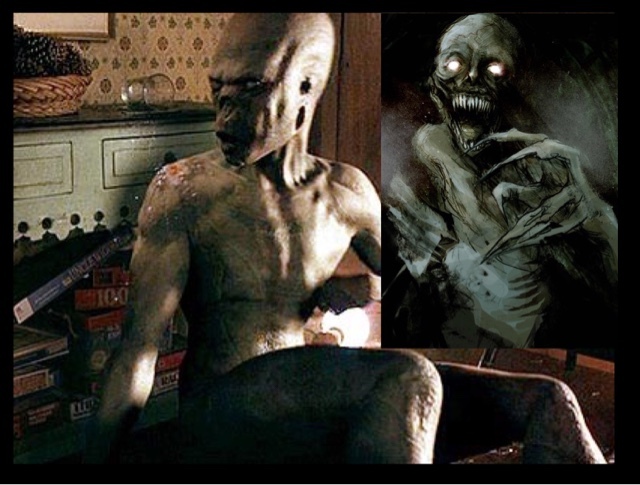 Produced by Blumhouse Productions. Directed by M Night Shymalan. Certificate 15 running time 117 minutes. Is Split a horror film, just because it is produced by Jason Blum ( Blumhouse) it has been labelled as a horror well it certainly isn't. It is a psychological movie, that has only been made to tie up a previous franchise which is Unbreakable, and to make a further movie in the what is now known to be a trilogy for M Night Shymalan's with a very clever cameo in the final moments from Bruce Willis, to tie this movie to Unbreakable, and the next being called Glass, which has just finished shooting. A film that is very well acted by James McAvoy, and Anya Taylor-Joy, a film that at first I didn't want to see, as I believed it to be negative on mental health issues, especially multiple personality disorder. 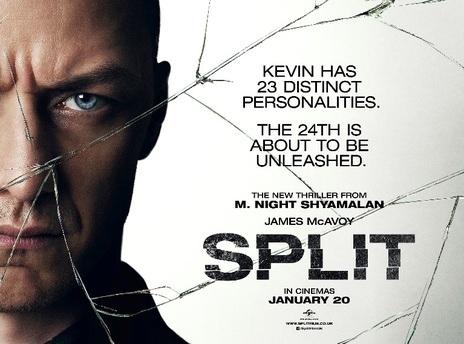 Although James McAvoy does a brilliant job as Kevin who has no less than 23 personality's , under a resounding psychologist, after a strange incident involving two teenage girls, two of his dominant personality's have come out, and kidnapped three teenage girls, for the preparation of a 24th personality called " the beast" who is now wanting to come out. We have a movie that is actually devoid of any blood, although filmed with serious menace, I cannot understand why this movie is a 15 rated movie. 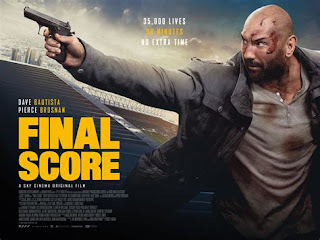 A movie that is actually very slow in places, but is brave to tackle, mental illness and child abuse in one movie, probably the only reason for the adult rating. I did feel let down by this movie though, when you realise it is only a middle segment of a trilogy, that doesn't end properly, feels a bit of a let down, as it is no longer a stand alone movie. It is well directed by Shymalan who is back on form once more, proving The Visit was not a fluke, and I am looking forward to Glass in 2018 to rap up this franchise. I have to judge this as a standalone film, and it doesn't work, as it's already been earmarked as a sequel to Unbreakable, and to conclude in Glass in 2018.